Google may initially partner with BSNL for testing this technology by using broadband spectrum in 2.6GHz band. When contacted, a Google spokesperson refused to comment. The technology, used for 4G services, has potential to replace mobile towers as it can directly transmit signals on 4G mobile phones. 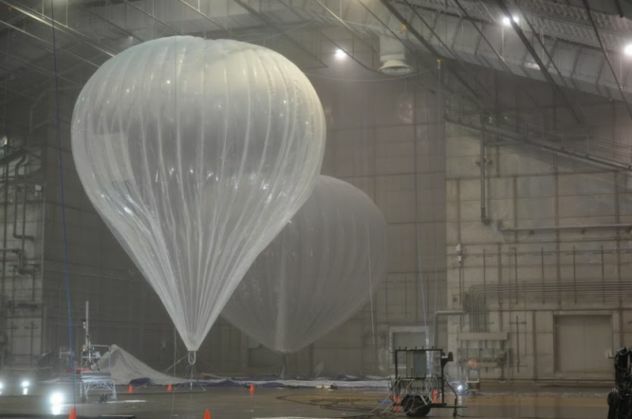 As per Google, each balloon can provide connectivity to a ground area about 40km in diameter using a wireless communications technology called LTE or 4G. To use LTE, Project Loon partners with telecommunications companies to share cellular spectrum so that people will be able to access the Internet everywhere directly from their phones and other LTE-enabled devices. The source said that Google may operate as technology service provider and not as Internet service provider. "The DeitY committee is looking at various aspects to facilitate test like identifying locations, coordination with various agencies. Under the drone project, Google had plans to transmit Internet on ground using 8 big solar powered drones but that has not been cleared by government yet," sources added. READ NEXT >> Bigg Boss 9: Rishabh Sinha-Digangana Suryavanshi in love-and-hate relationship?